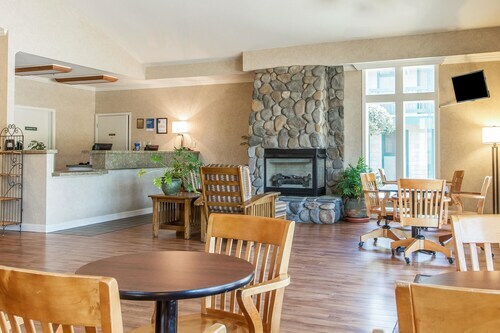 Situated in Half Moon Bay, this golf hotel is within 1 mi (2 km) of Pelican Point Beach, Half Moon Bay Golf Links, and Cowell Ranch State Beach. Half Moon Bay State Beach and Purisima Creek Redwoods are also within 3 mi (5 km). Inspired by the grand seaside lodges of the 19th century, this resort is perched on a bluff overlooking 2 golf courses and a wild stretch of Pacific coastline, 3 miles (5 kilometers) from the town of Half Moon Bay. 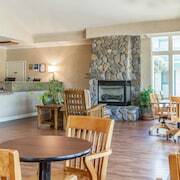 Located in the heart of Half Moon Bay, this motel is within a 15-minute walk of Miramar Beach, Naples Beach, and Roosevelt Beach. Dunes Beach and Venice Beach in Half Moon Bay are also within 1 mi (2 km). 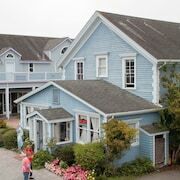 Situated in Half Moon Bay, this bed & breakfast is within 1 mi (2 km) of Francis Beach and Half Moon Bay State Beach. Venice Beach in Half Moon Bay and Dunes Beach are also within 3 mi (5 km). 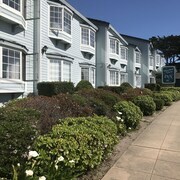 Situated near the bay, this hotel is 0.3 mi (0.5 km) from Pillar Point Harbor and 1.5 mi (2.5 km) from Mavericks. Miramar Beach and Naples Beach are also within 3 mi (5 km). 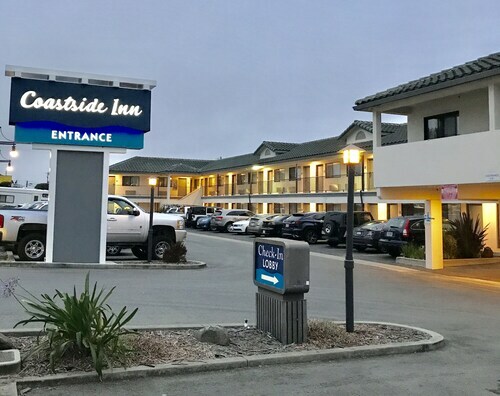 This family-friendly Half Moon Bay motel is located by the ocean, within 1 mi (2 km) of Francis Beach and Half Moon Bay State Beach. Venice Beach in Half Moon Bay and Dunes Beach are also within 3 mi (5 km). 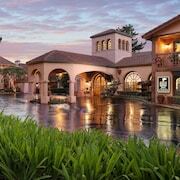 Situated near the airport, this spa hotel is within 3 mi (5 km) of Mavericks, Miramar Beach, and Naples Beach. Montara State Beach and Half Moon Bay State Beach are also within 6 mi (10 km). 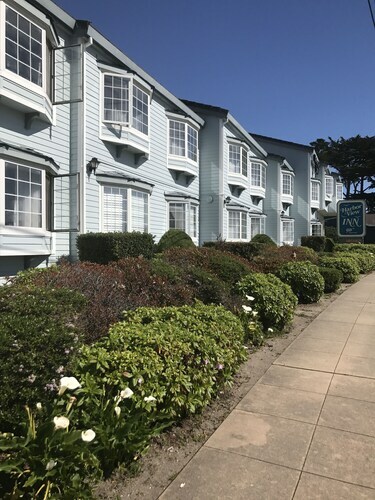 Located in Half Moon Bay, this beachfront bed & breakfast is next to a golf course, 0.2 mi (0.3 km) from Miramar Beach, and 2.7 mi (4.3 km) from Mavericks. Naples Beach and Roosevelt Beach are also within 15 minutes. 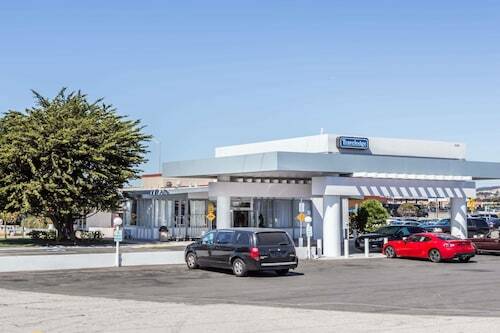 Offering direct access to the beach, this Half Moon Bay hotel is 0.1 mi (0.1 km) from Miramar Beach and 2.8 mi (4.5 km) from Mavericks. Naples Beach and Roosevelt Beach are also within 10 minutes. How Much is a Hotel Room in Half Moon Bay? 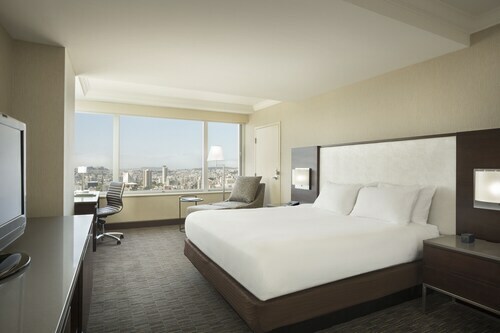 Hotels in Half Moon Bay start at $109 per night. Prices and availability subject to change. Additional terms may apply. Between Santa Cruz and San Francisco, Half Moon Bay, California, is the primary coastal town and getaway destination. Boasting views so beautiful that they've inspired poetry, Half Moon Bay is the kind of place you'll never wish to leave. 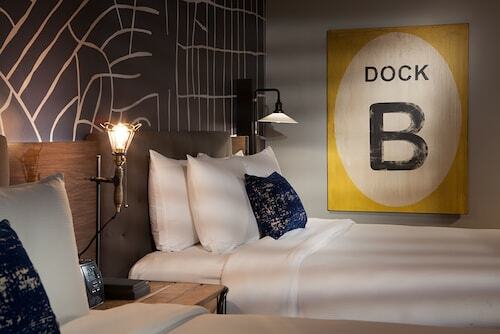 From the pristine beaches to the quaint downtown hotels in Half Moon Bay, you won't have a problem feeling good here. 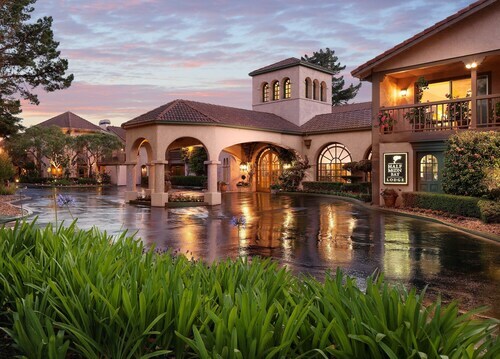 Go horseback riding, swim in the ocean, golf, shop at boutiques, and more during your stay. Half Moon Bay State Beach is top-notch, and an afternoon sunbathing there would certainly relax you. Cowell Ranch Beach features cliffs with epic views of the bay, which makes for excellent photo opportunities, and the Pigeon Point Lighthouse is an incredible structure that was constructed in 1871. Once you've had enough seaside attractions, rest at one of those cozy Half Moon Bay hotels and then make your way to Montara Mountain for an adventurous hike. Cycling and driving along famous Highway 1 is also a ton of fun. And if you wish to see a musical or play, check out the Coastal Repertory Theatre downtown. All the action is on Main Street—the main drag in town. Sip of artisan coffee at a cafe, taste local wine at a cellar, eat fresh local seafood at one of the eateries, and shop at niche shops in between. The Coastside Farmers' Market—open May through December—is also held downtown and is the place to buy everything from tasty breads to regional honey. 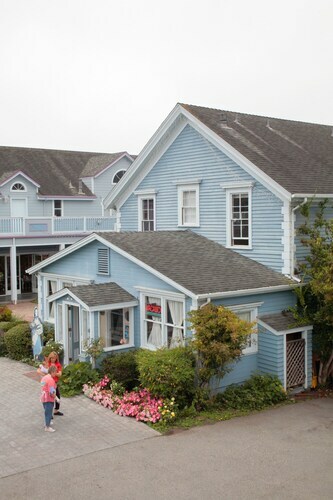 What's also nice about the Main Street area is that you can still find many cheap hotels in Half Moon Bay within walking range. It's time to book a vacation to Half Moon Bay. From rental cars to San Francisco flights, Travelocity is your trusted source to save money on your trip. 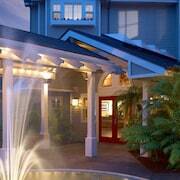 Here's another piece of advice: The Travelocity app has mobile exclusive deals for travel to Half Moon Bay. Need insider tips on must-see attractions in Half Moon Bay? Check out our Half Moon Bay travel guide! Near Beach and Town! Luxury for Less! Beautiful Beach House Steps From the Beach and Hiking Trails! 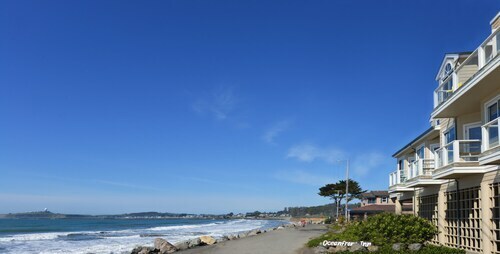 Unique Mavericks Beachfront Loft on the Sand by Pillar Point!